Explosion protection in accordance with 1ExdsIIBT 4X, 1ExdsIICT 4 X. Engine power: 1,1 - 37 kWt. Engine power: 1,1 - 132 kWt. Explosion protection in accordance with 1ExdsIIBT (1-4)X, 1ExdsIICT (1-4) X. Engine power: 1,1 - 75 kWt. Hermetically sealed centrifugal pump 4CH 100/125H-K-55M-4L-У2 SF 37267809-002:2007. 2. The parameters in the Table are given for operating fluid of a density of 1000 kg/m3 and a viscosity of 1 cSt. 3. When pumping liquids with a density of over 1000 kg/m3 and (or) taking into account viscosity, electric pumps are supplied with reduced pressure due to impeller turning on the outside diameter in order to avoid overloading of the motor. 4. Electric pumps of the less rated power of the same standard size, for example, 1CH 25/50-5,5-1 (2,3,4,5,6), are intended for pumping liquid of a density of up to 850 kg/m3. 5. Electric pumps are made at 380, 500, 660 V (specified when ordering), a current frequency of 50 Hz. for electric pumps versions 6 C - 1ExdsIICT1 - T4 X.
K1 - economically alloyed steel 12X21H5T, 10X21H5TЛ. 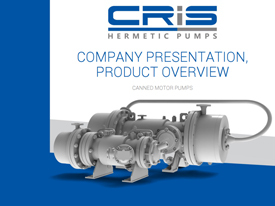 More detailed information, including graphic specifications, schemes of binding and control, description of the structure, installation and operation rules, are specified in the operational documentation of the electric pump.